We are getting ready for another membership drive at the Nations Gun Show during February. The event runs from Friday, 8 February to Sunday, 10 February. We will have a wall table this time to give us the ability to put up some material. Our goal is to sign up as many new or renewal members as possible through the weekend. Recruiting team at the last Nations Gun Show recruiting event. 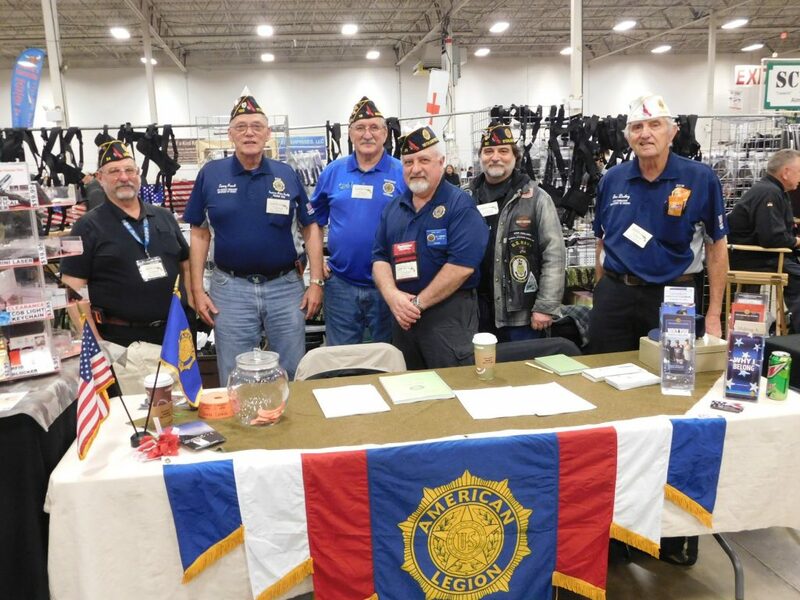 Volunteers should plan on wearing their Legion cover with their Post/Legion Polo Shirt or Legion Riders regalia. Auxiliary members should wear their Auxiliary polo with appropriate accouterments and the appropriate head wear prescribed by your Unit. Anyone wishing to volunteer should email John Carty, 16th District Membership Chair or use the contact form on the website for Membership Chair.